It's sweet, it's spicy, and it's ready to be eaten any way you like it: on a salad, over cauliflower rice, on a 100-calorie flat sandwich bun, in lettuce cups, or straight out of a bowl! Add honey, sriracha, garlic powder, and onion powder to a slow cooker. Stir until uniform. Top with onion. Cover and cook on high for 3 - 4 hours or on low for 7 - 8 hours, until chicken is fully cooked. Hungry for More Slow-Cooker Chicken? Yummm, it's National Deviled Egg Day, November 2nd. Pop out the yolks from your hard-boiled eggs, and fill the whites with hummus, guacamole, or salsa... Get creative! 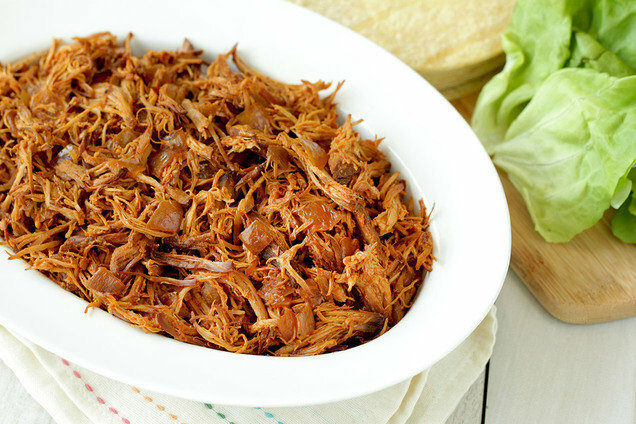 Make sure your pals are well stocked with healthy slow-cooker chicken recipes! Click "Send to a Friend" ASAP.